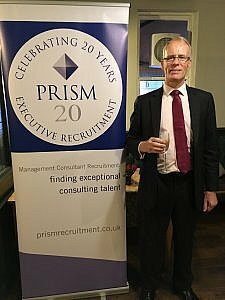 It is 20 years since Prism Executive Recruitment was established in 1997 and the perfect excuse to get employees past and present together to celebrate its success. Chris Sale, Managing Director, reminded everyone how recruitment had changed over that period with many aspects unrecognisable. However the pervading theme was that Prism has always put clients and candidates first and works closely with each in order to fulfil its promise to deliver exceptional service and to “find exceptional consulting talent”. The personal service Prism prides itself on and relationships built up over the past 20 years (both within and outside the firm) are greatly valued, in particular by small and medium sized consultancies. Clients can not only be assured they have access to the best available talent, but also expertise and advice on how to ensure they can best manage recruitment over the long term. 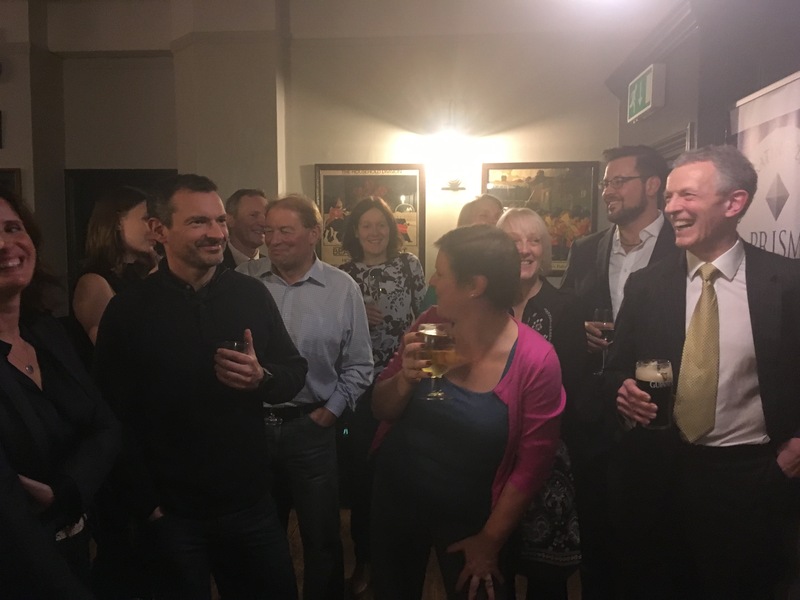 Prism alumni have fond memories of their time at Prism, and everyone enjoyed catching up with ex colleagues. So successful was the event, that it was agreed the next get together should take place in the not too distant future! Many thanks to Caroline Boston and Chris Sale for organising the event.